How do I clean this silicone tray? 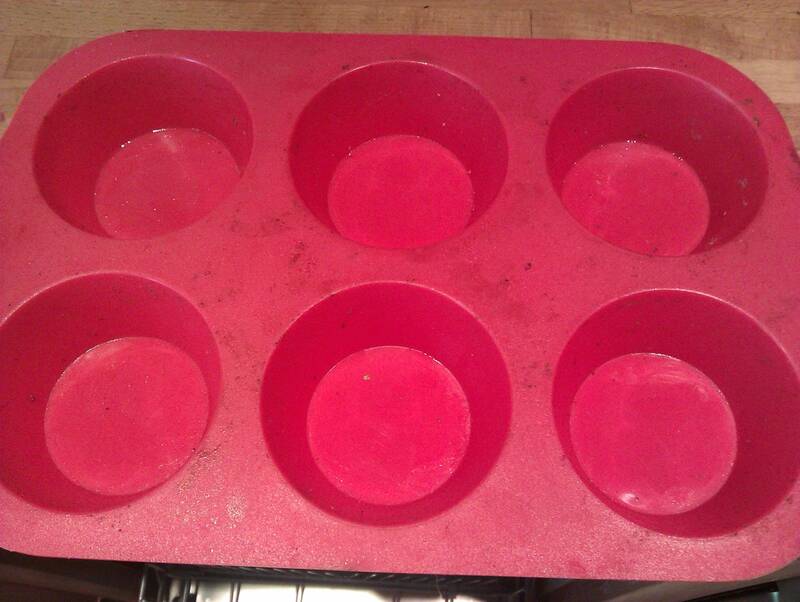 I use this silicone muffin pan to cook things in the oven. It's supposed to be non-stick, but actually food sticks to it quite a lot. Often I can just scrape dried food off with my fingers, but it's gradually building up brown stains and crusts that I can't remove even by scrubbing hard with a scourer. Is there some kind of trick to make it spotlessly clean again? Try to put your silicon tray in boiling water for 3 to 5 minutes. I had the exact same problem and it worked fine for me. To clean burnt food from silicone bakeware, place the bakeware in the oven at 350 degrees for 10 minutes and fill a sink with water. Remove the bakeware from oven using tongs and wipe clean with water and a sponge. Not the answer you're looking for? Browse other questions tagged baking equipment cleaning or ask your own question. What is the best way to clean a roasting tray/baking tray that has sauce burned on to it? How can I clean this cooking pan? How to clean a cast iron skillet that was used for an ash tray for about 30 years? How do I wash the “pokey” side of a box grater?